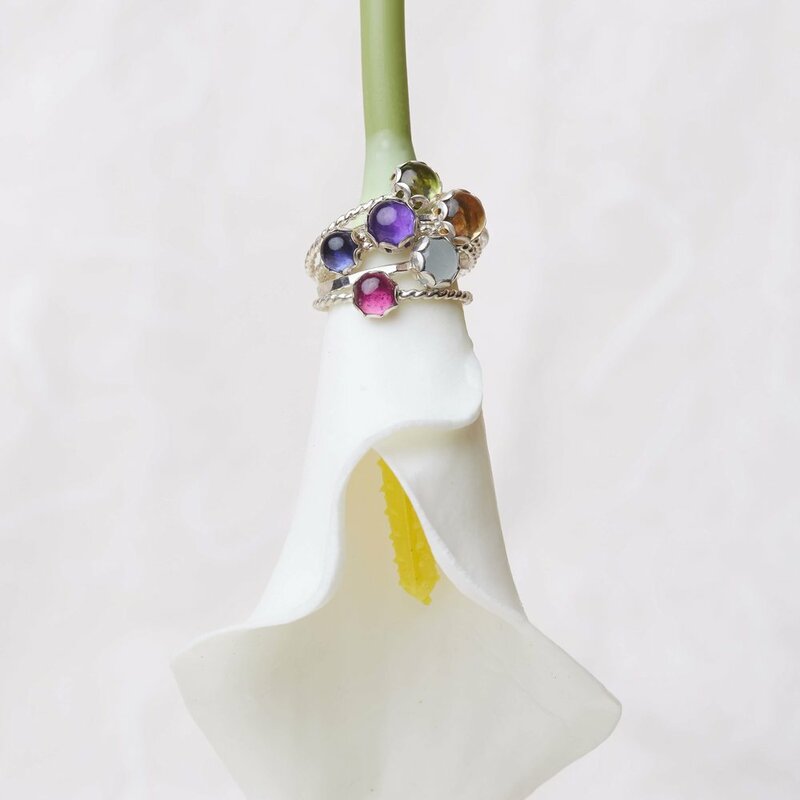 Caring for your jewelry is important from the moment you get it for long-lasting wear! See below for details on how to maintain different pieces and materials. The best way to prevent tarnishing is to store clean, dry sterling silver in a dry airtight container, like an anti-tarnish zip-lock bag. You can also buy anti-tarnish strips to keep with your jewelry. Don't leave your silver jewelry exposed for long periods of time and do not expose to air and light when storing because it will cause silver to tarnish. Do not wear sterling silver in chlorine water. Cleaning and caring for sterling silver is simple. Always clean sterling silver with a non-abrasive and phosphate-free cleaner and a soft cloth. Many cleaners and polishes are specifically suited for sterling silver and are widely available. Gold-filled, or gold overlay, is made by heat- and pressure-bonding a thin layer of karat gold to a brass (or other base metal) core. The "14/20" or "12/10" notation refers to the industry shorthand describing the resulting material. The first number is the karat purity of the gold used; the second number is the amount, by weight, of gold to the substrate material. "14/20" gold-filled material is made with 14-karat gold and the gold represents 1/20th (or 5%) of the total weight of the material. You may occasionally see other notations, too; each will inform you about the material's make-up. For example, "14/40" gold-filled is composed of 14-karat gold that represents 1/40th (or 2.5%) of the overall weight of the material. Because the gold is bonded, there is no plating to eventually come off. Gold-filled metal will not tarnish and my be worn in the shower. Avoid chorine such as ocean, pools and hot tubs. Clean the metal as you would for sterling silver above. While more tarnish-proof than sterling silver, you should take the same care to protect your gold-plated jewelry from fading or corrosion and store it in an airtight container, such as a zip-lock bag. Do not wear in the shower or store in a humid environment. Do not spray perfumes on the gold-plated piece. Never use a silver polishing cloth or machine polishing and avoid all abrasive or chemical cleaners, as these will remove your gold overlay. When polishing, use only a soft cloth. Don't expose your precious gemstone pieces to salt water or harsh chemicals, such as chlorine or detergents. These chemicals may slowly erode the finish and polish of gems. 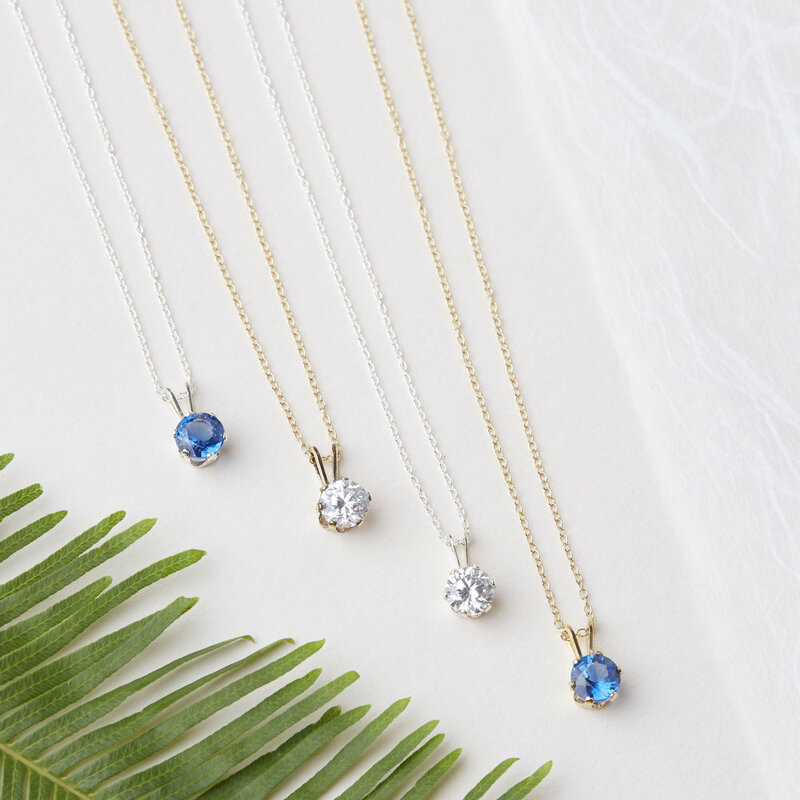 Use of hair spray, perfume and the presence of perspiration may cause jewelry to dull.To keep your gems sparkling, clean them when dust and fingerprints have dimmed their brilliance. The best way to clean your gemstone jewelry is in a bowl of water with a few drops of ordinary dish detergent. Using an old soft toothbrush or other soft brush, scrub gently and just rinse and pat dry with a soft cloth. Pearls are very delicate and require gentle care. Rub soiled or dull pearls with a non-abrasive cloth. If this doesn't clean them sufficiently, try using water mixed with mild soap meant for sensitive skin. Dip the cloth into the mixture and carefully clean the pearls. Dampen another section of the cloth with clean water and rub the pearls to rinse. Dry thoroughly with another soft cloth. Never soak pearls in liquids.